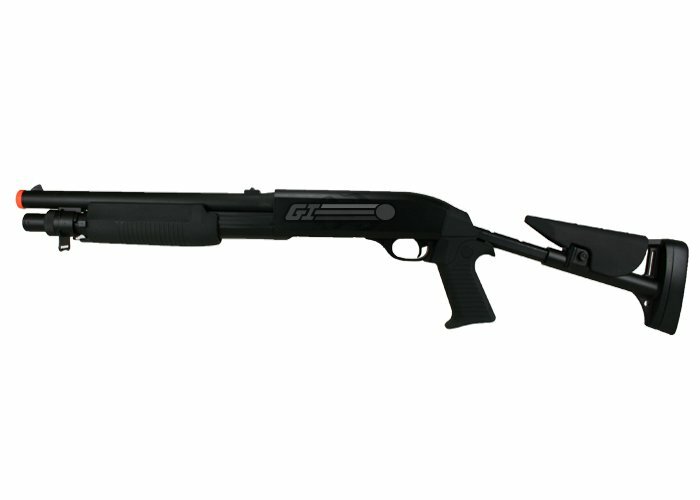 The Multi-Shot Spring Shotgun is a replica of the famous Tokyo Marui M3 Shotgun. 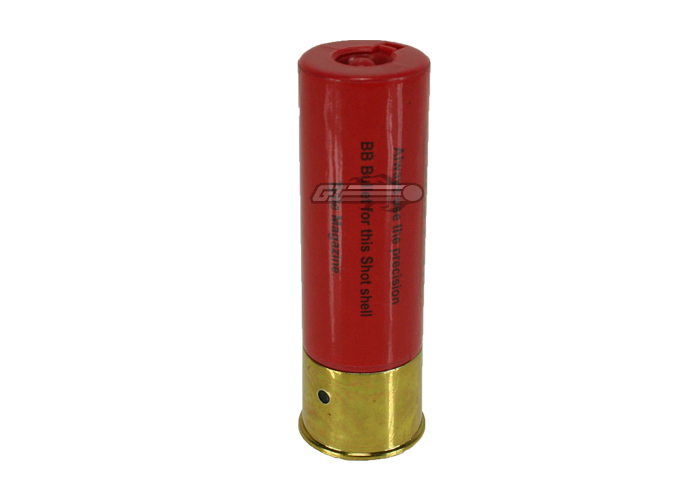 It is fed by a replica shotgun shell that loads 3 BBs into 3 separate barrels with every action. The 3 barrel design is the best way to accurately shoot multiple BBs at the same time. Although the gun is made primarily of plastic the structure is very sturdy. Package Includes: Gun, 1 Shell, Sling, Speed Loader, Unjamming Rod. This is one of my favorite guns I own. I love he alternate play experience that involves more precise shots than an A.E.G. 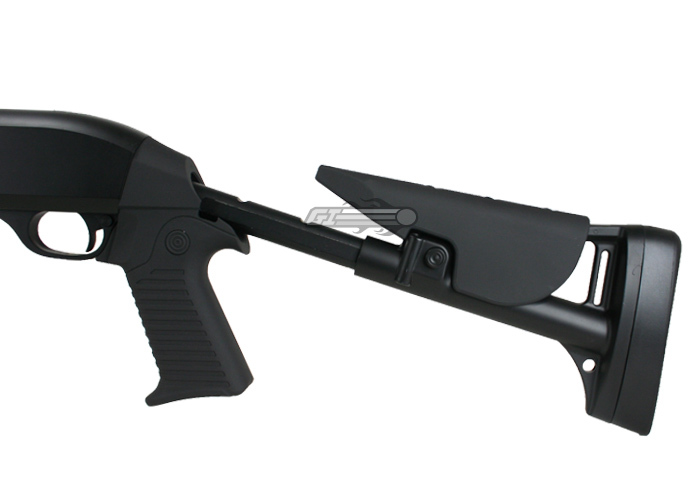 This gun is great because the retractable stock is very ergonomic and fits well when holding. As far as performance, almost all M3 trishots are the same; decent FPS that's just under 300 FPS, shells hold 30 bbs (I'd recommend .25's) and you get 10 shots a shell. The gun is hard to pump at first, but after 50 or so shots it's easy. The only problem so far is the stock coming loose, and this can be solved with a strong glue and a long allen key. This gun is awesome. The retractable stock is only one of many M3 trishot clones, and most all of them have the same internals. They have decent FPS, the shells hold 30 bbs, so you get 10 shots a shell. The gun has a pretty sturdy pumping handle that takes some muscle to use. The entire gun has a sturdy feel to it. The only con is that the retractable stock gets loose. Mine was loose as crap right out of the box, and it takes a REALLY long 4 mm allen key to tighten it back up. You definitely need to take off the whole stock and epoxy the handle and epoxy and tighten the allen screw if you want a solid stock. I bought this gun right when it came back in stock and I am NOT disappointed, and neither will you! The gun itself it very well constructed of mostly polymer. ( which is the quality kind ) It has good iron sights that are painted white so you can see it. I've shot about 500 shots with it and I love it. Has a good spread at range and at cqb. Little inaccurate at 35 to 40 ft. plus which isn't bad for a shotty. It is constructed of polymer. does this gun come with a shotgun shell holder to attach to it? I realize that this gun is supposed to have a stiff pump, but i need to know if some one who is 14, 5'2, 100 pounds, and average strength will have a hard time using this? 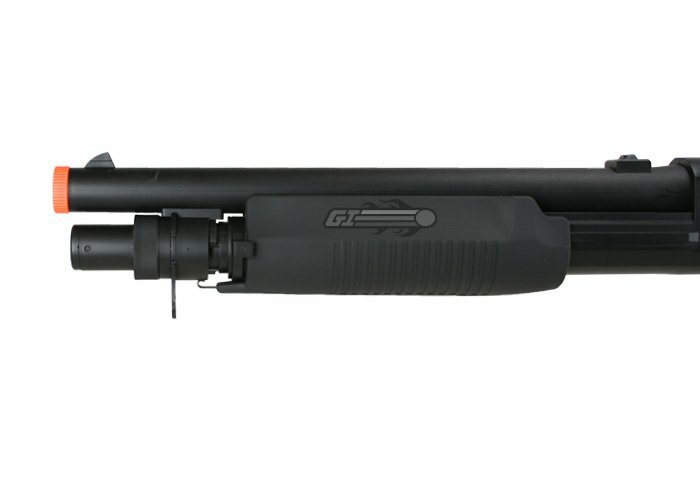 I want this shotty but need one that is 3 round burst and i will be able to pump it alright. 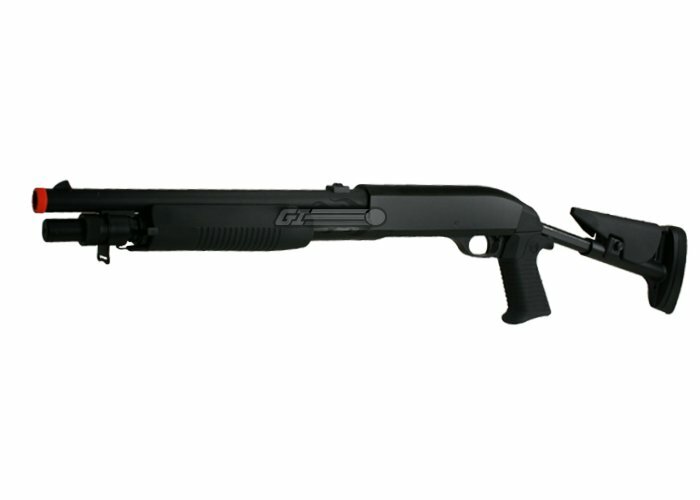 (if there is a shotgun that fits this please tell me). 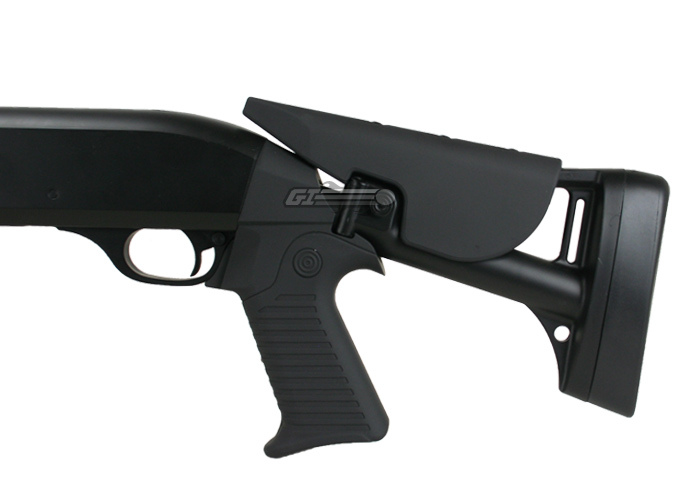 Is it possible to add a rail to the upper receiver and the pump ?